Heads up on a great pizza deal at Harris Teeter starting tomorrow. Digiorno will be on sale and you’ll get a $2 Catalina coupon back when you buy three. 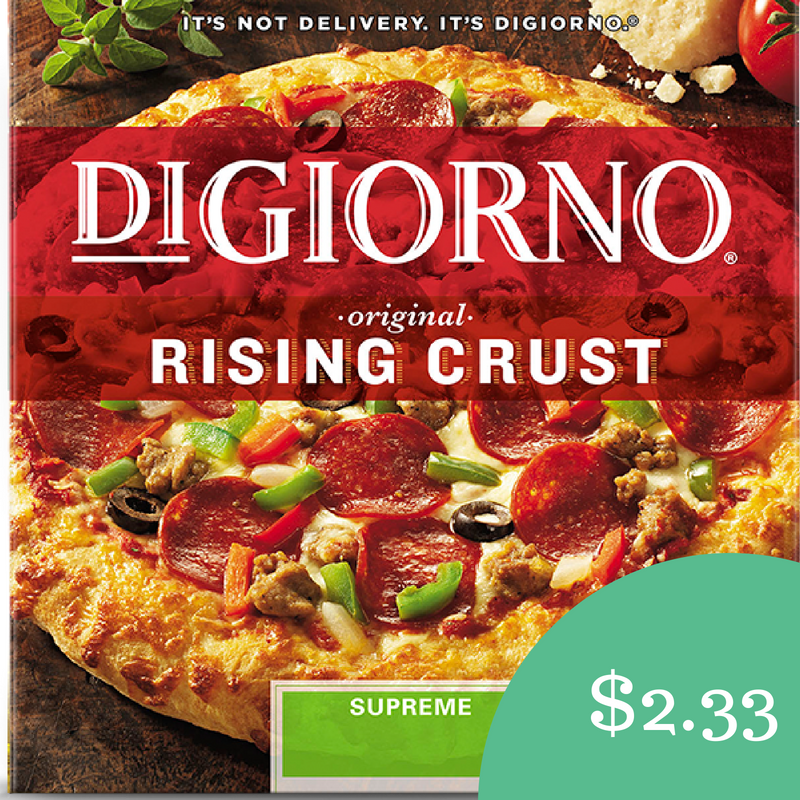 Make sure to print a Digiorno coupon and you’ll get three pizzas for just $2.33 each!